If you are an avid reader of this blog, by now you will have realized that there are very few hard-and-fast rules when it comes to college selection. Rather, much depends on the match between a student’s abilities, needs, wants, and interests and how well those match the schools to which s/he is applying. The same is true with majors. Students may not have an idea of what they want to dedicate their collegiate studies to yet, and that is perfectly fine. Students usually do not have to commit to majors right away, and most students can switch or add majors or minors down the road. While students need not know what they want to focus their collegiate studies on, much less which career they intend to pursue after college, it is nonetheless worthwhile for students to begin thinking about what they might (underscore might) be interested in studying at the colleges they’ll apply to. 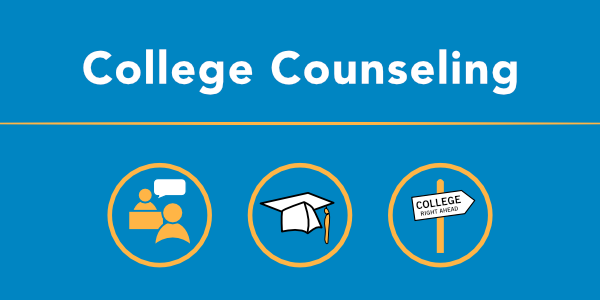 In this blog, we’ll go over some things students should think about when exploring potential college majors in their college searches. But remember, students are not wedded to majors once they apply, and they can even be changed in college if students find that their interests have change. Why should I think about my major if I haven’t even officially applied to college? It is a good idea to think about potential paths of study because such knowledge can help students figure out which colleges will best suit his or her interests. For example, if a student thinks he might like to study journalism at some point, he might want to know which colleges offer it as a major. If a student is interested in studying Latin American history, she would be wise to make sure that the small liberal arts college offers such a major. Students might not know what their major will be, but they do have a sense of what they are interested in now. Thinking about potential majors is also a good way for students to delve deeper into their research of colleges as well. For instance, if a student knows that she is interested in literature, going to the English department website will allow her to see what sort of courses the department offers. It will let her see what special opportunities English majors can look forward to (say, an undergraduate journal, or a conference that students put on yearly). And if she goes to visit the college, she might ask to sit in on a literature class, or to speak with a current student majoring in English to ask what the experience is like. While colleges don’t expect students to know which major they’ll commit to, students who have a better idea of what they want out of a college experience –which includes academics—can better express why they are drawn to a given university if they have a sense of which academic programs they might pursue once matriculated. But again, we hasten to add that the operative word here is might. 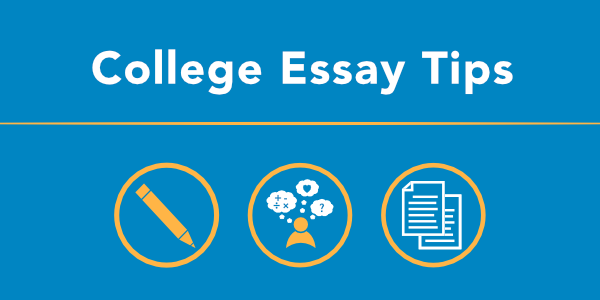 If a student indicates in his application or why-this-college essay that s/he might study sociology, that student can always decide to major in history later on. Part of college is exploration, and that includes exploring what makes students tick academically. How can I narrow down what I might be interested in studying? Students should reflect on what their interests are now. What do they enjoy doing? What do they enjoy learning about? They don’t need to limit themselves just to their favorite classes. If a student is a news junkie or enjoys political arguments, s/he should think about pursuing such interests academically and look at courses that deal with politics. If a student loves animals, he might think about majors that would allow him to study them. If a student is passionate about the environment, she might explore environmental studies. If a student has fallen in love with working on the school newspaper throughout, she might consider exploring journalism as a career. The array of majors is truly impressive, and there is something (or many things!) for everyone. The idea is to think about what students genuinely find interesting and see which majors would allow them to study it. They can then use this knowledge to further research schools that match those interests. Students who want to pursue a specific career that requires specific credentials—say, engineering, architecture, or nursing— will need to figure this out sooner rather than later. Why? 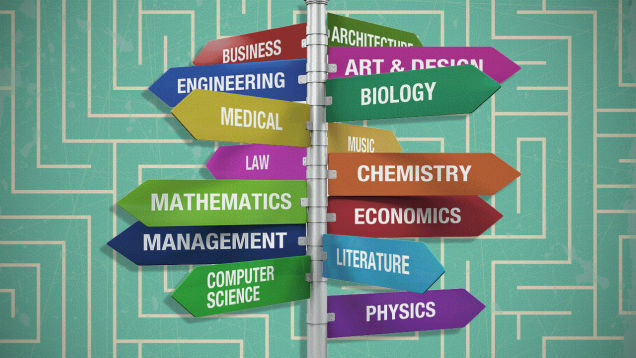 Not all colleges and universities offer those highly specialized fields of study, so students interested in pursuing those careers will need to make sure that they apply to schools that do offer those majors. In some cases, students may need to apply directly to the specialized program, so they will need to verify the requirements carefully. Narrowing down interests and exploring potential majors and careers may sound frightening or intimidating, but it can also be exciting. At the end of the day, students are essentially taking stock of what they are passionate about and might want to continue studying when they are able to choose (often for the first time!) what they want to study. Other students may find it thrilling to think about all the new things they can learn at college, since the options are more plentiful than in high school. At the end of the day, students are imagining—based on what they know about themselves and their interests up until now—what they would like to do when they get to college. Their plans can—and very well might—change. That’s okay. Students are not marrying a particular field of study, only thinking about what interests them most for the time being and going with it. Next PostPlan Your ACTs & SATs Early!